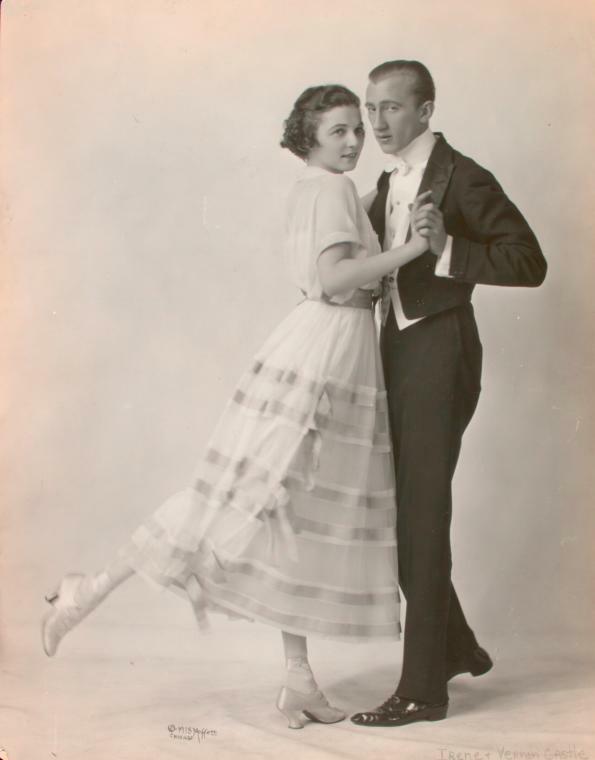 The article provides three hesitation waltz positions. 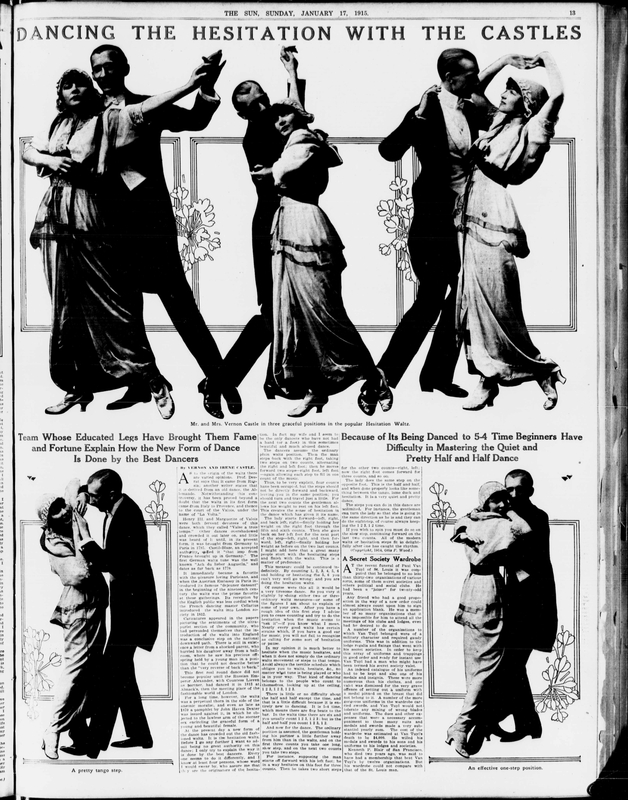 It additionally shows a tango position, and a one step position. This article was made available by Chronicling America. The featured photo was provided by the New York Public Library, with no known restrictions on publication.